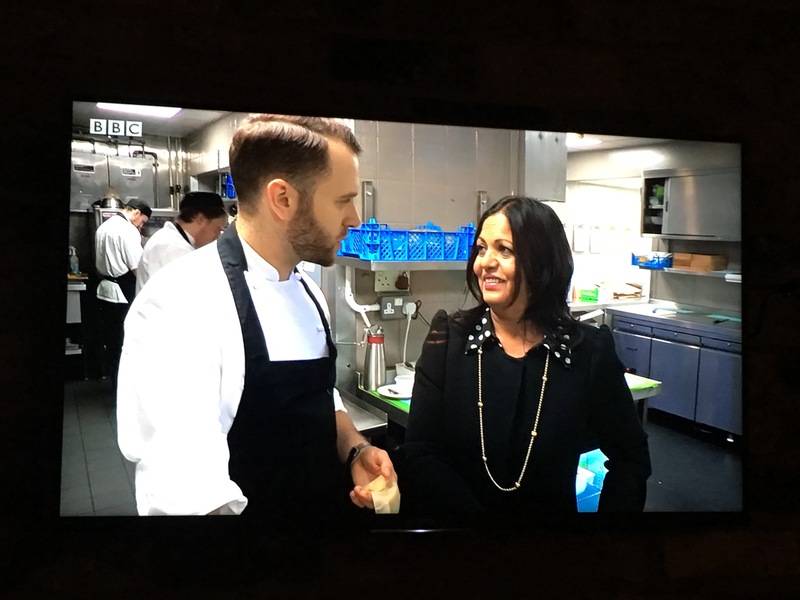 Laila Remtulla, the founder and Managing Director of Bispham-based Laila’s Fine Foods, one of the UK’s leading independent suppliers of chilled ready meals, appeared last night as a guest of one of the chefs on the popular BBC 2 programme, The Great British Menu. Mrs Remtulla, whose company produces over half a million ready meals a week for sale throughout the UK, appeared on the programme alongside Adam Reid, head chef of The French restaurant in Manchester’s historic Midland Hotel. It is 30 years since Laila launched her first product, making samosas in her kitchen at home for sale at a local delicatessen. Disappointed at the quality of Indian food in supermarkets at the time, Laila soon gained her first listing with Booths and is now one of the region’s most well-known and influential figures in food manufacturing, employing more than 300 people. “Adam is a very talented chef, training under Simon Rogan at the French in Manchester and he shares my belief that the importance of innovation, passion and an over-riding commitment to quality is key in any food business,” she concludes.